Thanks to dMarie BB gang for suggesting this layout theme. And a huge tip of the of the hat to our resident Title Queen Cara for the inspired and oh-so-clever title! Stickers, of course, are Mrs. G's monkeys and baking/cooking. Taking sequential photos sometimes is a fun way to tell the whole story - especially in our silly family. 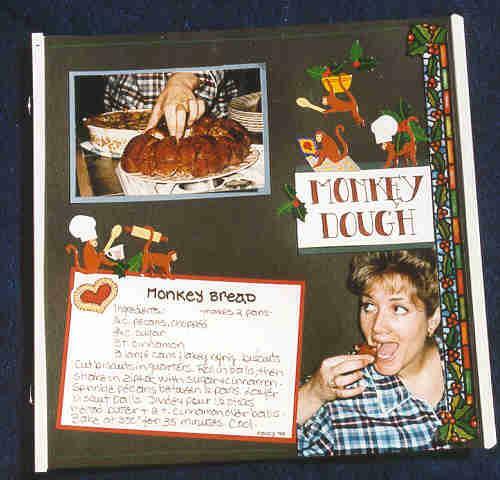 I also like including a recipe in the layout for future generations.